First of all, cut two pieces of fabric. One that measures about 10 x 6 inches, and a small one about 5 x 2 inches. Fold the bigger piece into thirds lengthwise and glue it. Do the exact same thing with the smaller piece. Take each end (bigger piece) and fold them in so they meet in the middle. Pinch the larger piece to make a bow shape and put a drop of glue in the crease so that the fold stays put. 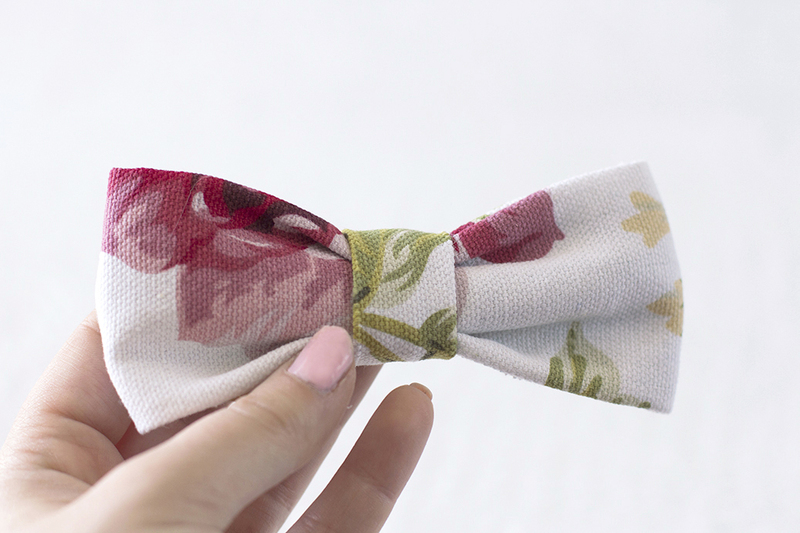 Next, take the smaller piece of fabric, then wrap it around the bow and glue it together in the back. Add a hair clip and you’re done! That’s it! 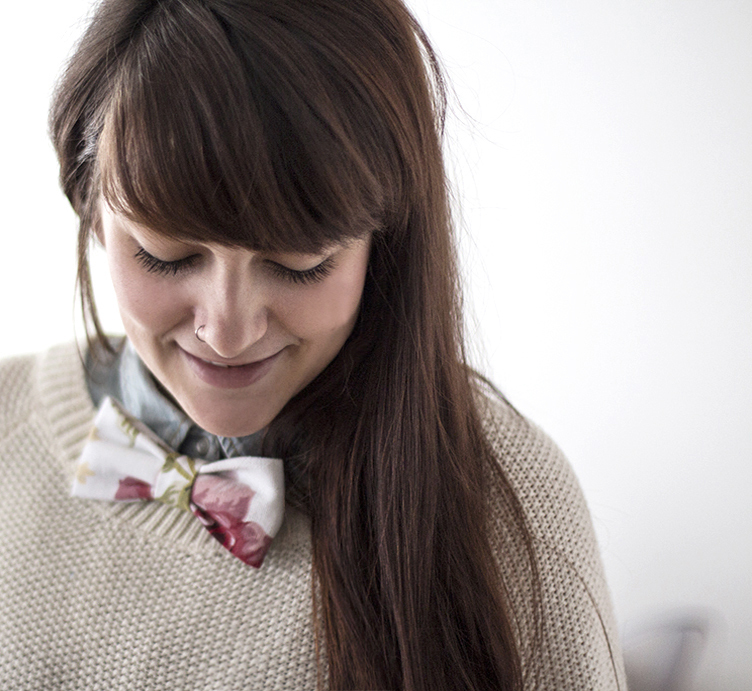 Your own ready-to-wear bow-tie. Now you can make them in any color/pattern you love. 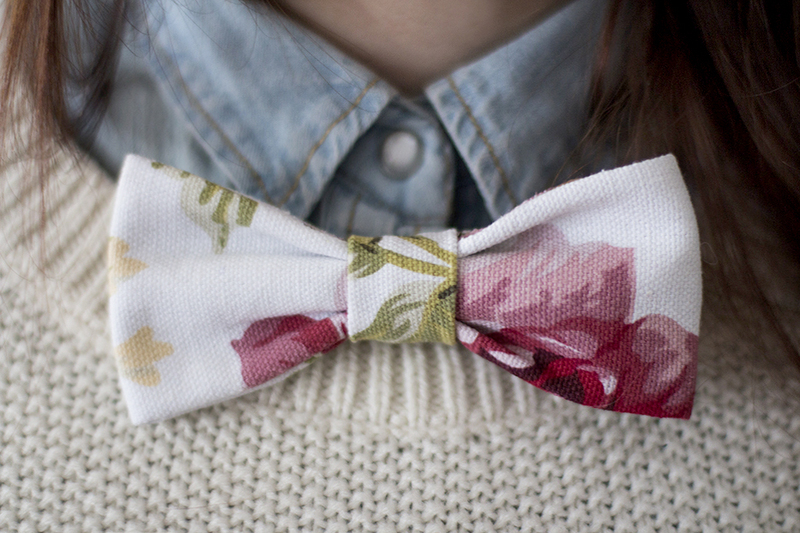 The bow is very cute! Notify me of followup comments via e-mail. You can also <a href='http://coloursandbeyond.com/comment-subscriptions?srp=3870&srk=&sra=s&srsrc=f'>subscribe</a> without commenting.